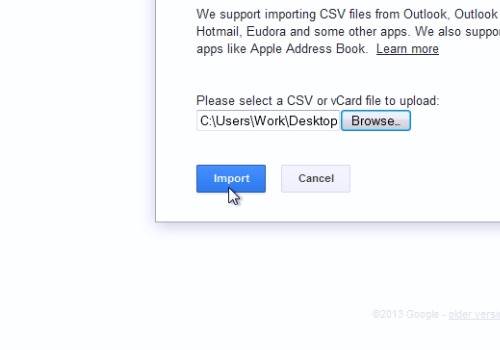 In this video tutorial we will show you how to export outlook contacts to gmail. Launch Microsoft Outlook. 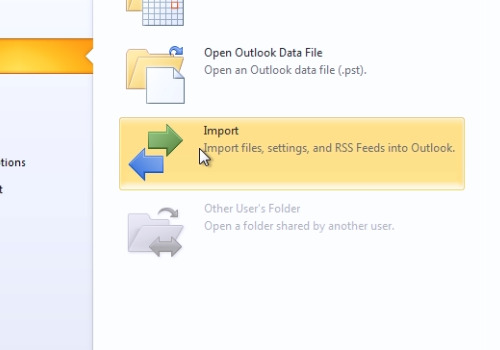 Go to the “File” menu, click on “Open” and choose “Import”. In the following window, select “Export to a file” and press “Next”. In the next window select “Comma Separated Values (Windows)” and press “Next”. In the following window choose “Contacts” and press “Next”. In the next window press “Browse” and then choose the destination to export and type the file name for your file. In the “export to a file” window, press “Next”. In the following window press “Finish” to complete the export. Launch your web browser. Type “gmail.com”. In the following web page, sign in to your google account. Click on “Gmail” and choose “Contacts”. Move the mouse down and press “Import Contacts”. 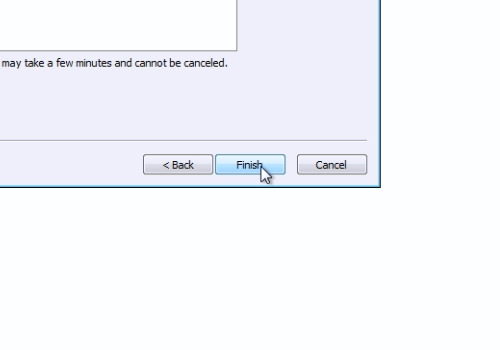 In the following window, press “Browse”, select the file you want to upload and press “Open”. When it’s done, press the “Import” button. Now you can see the imported contacts.